During the 2014 fiscal year, sequestration will cut $90 billion in Federal discretionary spending. With the soft options already eliminated in 2013, the only decisions left are between bad and worse. Where can agencies find maximum savings with minimal pain? On average, government agencies spend 83 percent of their network hardware budget on one single vendor. As a result, most Federal network spending goes to support legacy infrastructure – allowing the outdated networks to smother them. Very little is left for new investment, leaving networks slow, outdated, and tightly proprietary. This is an expensive way of operating. To understand this tough problem, we took data from Gartner and MeriTalk and applied it to Federal agency budgets. That analysis found that agencies can save $1.05 billion per year by adding just one additional network vendor to their infrastructure – $590 million in IT hardware and equipment, $190 million in annual maintenance, and $270 million in network services. Net net, current year dollars, and long-term budget relief free up resources to allow for more innovation, modernization, and general network advancements. Some choices are hard – this choice is easy: Free your IT. 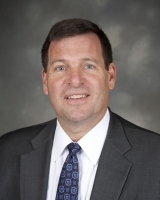 Anthony Robbins is the vice president of Federal for Brocade.